According to Her Majesty’s Government, more than 100.000 citizens of the U.K. currently live in the United Arab Emirates. While relatively few of these expats are retirees, there is an increasing trend towards older expats picking locations such as Dubai as the place to spend their later years. Let’s examine a few of the reasons that might be so. Compared to Britannia’s rather volatile climate, the weather in the U.A.E. is quite predictable. The winter temperatures tend to hover between a balmy 10°C and 14°C, with dry weather. Contrasting this to the typical winter in England, with it’s 83mm of rain and 1.3°C lows and the U.A.E. comes out the clear winner for one’s joints. Summers in the U.A.E. can become quite unpleasant, with temperatures in locations like Dubai peaking at 40°C. However, a number of newly planned communities such as Masdar City are being designed specifically to take the sting out of the summer months. The street temperatures in Masdar City on the hottest days will be a pleasant 25°C. This is an ideal temperature for the typical retiree, encouraging long strolls along the city’s many foot paths to enjoy the many cafes and markets. For the more active retiree, the Emirates provides plenty of recreational opportunities. Situated on the southern edge of the Persian Gulf, the Emirates have extensive beaches for retirees to enjoy. Abu Dhabi has numerous museums for those with an artistic bent, Dubai has cultural centers for those with a more anthropological interest, and so on. There are plenty of sporting events to enjoy, including Formula 1 racing, boating, cricket, football, and, of course, golf. For more sedate retirees there is plenty to do as well. Coffee was first cultivated in the Middle East, and so the cafe is a center of refined culture. The streets are plentiful with places to relax with a good book and a nice cuppa or to sit and chinwag with a few friends. There are plenty of markets to enjoy a leisurely stroll through while window shopping. For those who enjoy time spent in a garden, Dubai claims to have the finest in the world with its Miracle Garden. The U.A.E. is unique in the world, being the only nation in the world where the number of expats exceed native born residents by more than ten to one. As such it is a nation singularly familiar with expat accommodation in mind. For the retiree in the U.A.E. locating fellow Brits will be simplicity itself, allowing frequent relaxation at the sound of a familiar accent. With such a disproportionate scale of expats to native residents, cultural difficulties are increasingly rare. The U.A.E. enjoys a particularly open and tolerant culture seldom found anywhere else in the world. While a few customs might seem odd (a license is required to consume alcohol in a private residence), overall the U.A.E. may be the most expat friendly location to be found. On the surface, the U.A.E. appears to be a fairly expensive location to live. A typical one bedroom flat in Dubai will be priced at around £600.000. This seems expensive until one realizes the same flat, if set in the greater London area will cost around £1.5M. A meal at a mid-range restaurant will cost you about £24 in the U.A.E, while being double that in London. Even more importantly, the Emirates are oil rich. The practical effect of this would be that they have no need to collect any form of taxes. For a pensioner living on a fixed income, this can have immediate benefit. 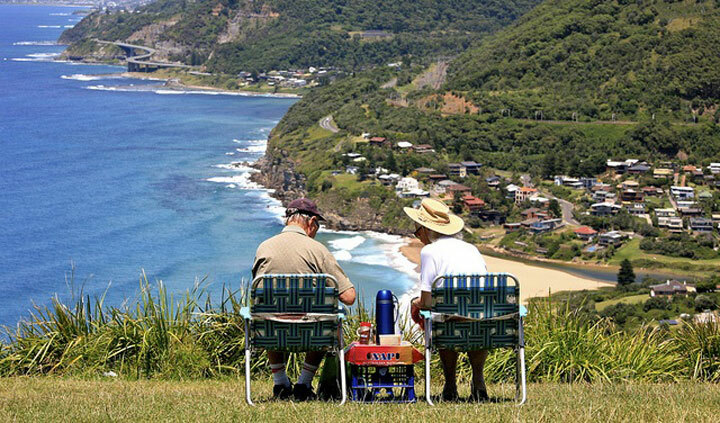 Should they transfer their pension overseas through the QROPS program overseen by HMRC, this means that they will receive the entirety of their pension payouts, rather than see a sizable portion lost to taxation. This increases the absolute spending power of a retiree in a nation that is already financially competitive. Though the number of retirees living in the U.A.E. has been comparatively small in the past, the numbers of pensioners within the Emirates is on the rise. With pleasant weather, plenty of recreational opportunities, a vibrant expat community, and a favorable financial situation, the number will only continue to rise. For the retiree considering a move abroad, the U.A.E. is certainly a place well worth considering. Mario Vitanelli is a writer, a traveler and a lover of craft beer paired with extra spicy food. When he’s not blogging about international finance issues, you can find him working on his 1940’s-noir-ripoff, hard-boiled crime novel.